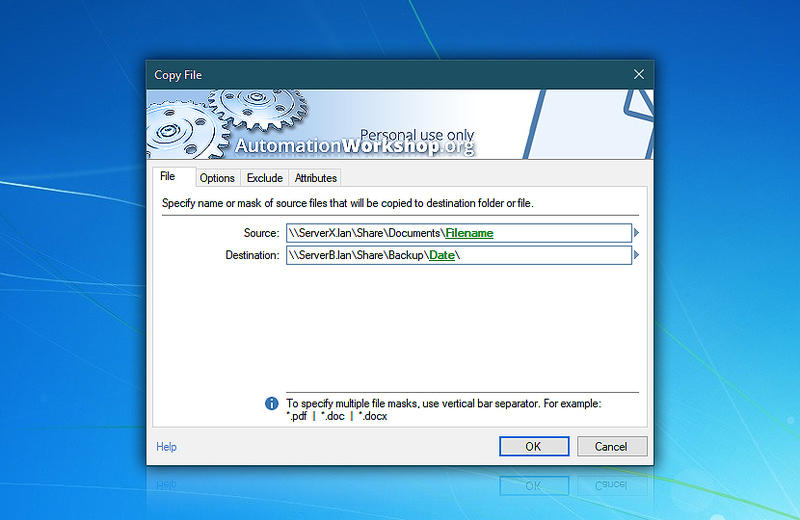 Copy file · copies file or files from the specified location to the necessary destination folder. 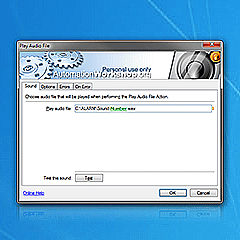 The action supports both local media and network drives. 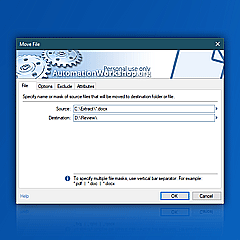 User can choose whether to copy subfolders and whether to overwrite already existing files in destination folder. Date and attribute filters provide a fine control over what is copied based on file name, type, age and attributes.